The other day it was my grandma’s birthday and I spontaneously whipped up a miniature cake to bring to her party. While making the cake I realised that I didn’t have to look up one single recipe, so I decided to share some of the most basic and essential ratios everyone can easily learn by heart. Believe me, knowing them will make your life so much easier and you can adapt and change them to your needs. IMPORTANT: Ratios are based on WEIGHT, not volume! So work with grams or ounces but not with cups! 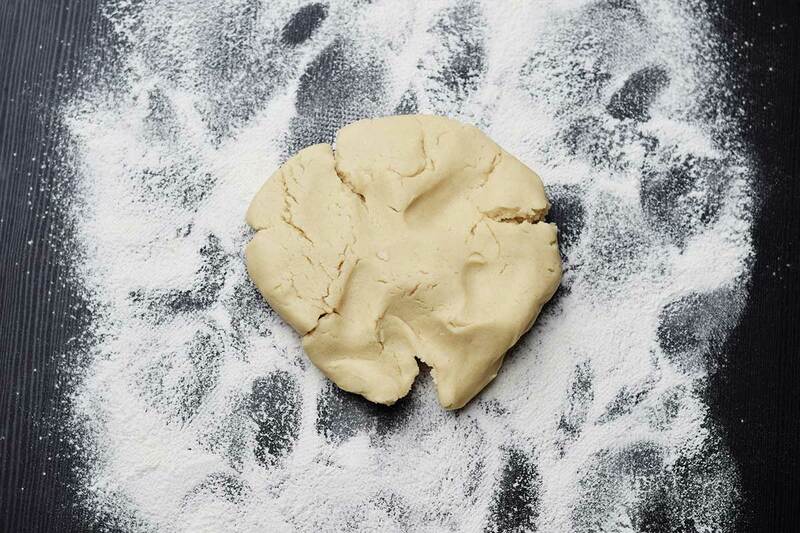 How: Mix soft butter with icing sugar until it turns creamy and changes from yellow to white. Example: If you are using 100 g of butter you’ll need 200 g of icing sugar. How: Mix the soft butter with the sugar until foamy and add the eggs while mixing. Finally add flour and mix until fully blended. Example: If you are using 100 g of butter you’ll need 100 g of flour, 100 g of sugar and 100 g of eggs (appr. 2 medium eggs). How: Whisk the egg whites until foamy and slowly add the sugar. Example: If you are using 100 g of sugar you’ll need 50 g of egg whites. How: Bring the cream or coconut milk to a boil and take off stove. Add the chocolate and stir until everything is melted and mixed well. Example: If you are using 100 g of chocolate you’ll need 50 g of cream or coconut milk. How:Bring the cream or coconut milk to a boil and take off stove. Add the chocolate and stir until everything is melted and mixed well. Example: If you are using 100 g of chocolate you’ll need 40 g of cream or coconut milk. Example: If you are using 100 g of chocolate you’ll need 33 g of cream or coconut milk.